Ransomware, named Moth, because it uses the file extension .m0th is the sole reason of users complaining in online forums. The ransomware uses an extremely strong AES-256 encryption algorithm to encipher the files of users, rendering them unusable and unable to be accessed via any software. More to it Moth ransomware leaves a ransom note which aims to scare users into paying the ransom. Security experts firmly believe that exactly the opposite of paying should be done – removing the virus and attempting to restore the files via any possible method besides this one. Unfortunately, direct decryption is not available at the moment, and this is why we advise you to read this article to delete Moth Ransomware and try to revert your files. Symptoms Files are encrypted and become inaccessible. A ransom note with instructions for paying the ransom shows as a READMEPLEASE.TXT file. User Experience Join our forum to Discuss Moth Ransomware. Crypters otherwise known as obfuscators. Such tools may be used to replicate spam e-mails under the pretext they come from a legitimate sender, like a well-respected company or other organizations and institutions. The e-mails may either contain malicious web links or other malicious files that may infect your computer. 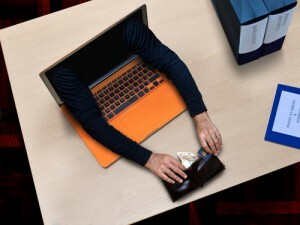 Another possibility of infection which is less likely but still an option for crooks is to take advantage of a shady advertising platforms and programs, like ad-supported browser hijacking software which displays browser redirects on the user PC. One of those redirects may carry the malicious drive-by download script for Moth Ransomware. After it detects the extensions it is preconfigured to encrypt Moth ransomware begins applying an AES-256 cipher on the files, generating a unique private key which is sent to the cyber-criminals’ C&C (Command and Control) center so that they can later ask BitCoins for them. Furthermore, files encoded by Moth ransomware cannot be opened by any other software and fast and 100% direct decryption is only possible in case the user has obtained the private AES encryption key. All your files have been encrypted using our extremely strong private key. There is no way to recover them without our assistance. If you want to get your files back, you must be ready to pay for them. If you are broke and poor, sorry, we cannot help you. If you are ready to pay, then get in touch with us using a secure and anonymous p2p messenger. We have to use a messenger because standard emails get blocked quickly and if our email gets blocked your files will be lost forever. As visible from the ransom note above, it is almost identical to another ransomware variant, known under the nickname BitMessage suggesting that Moth ransomware may be a variant of BitMessage virus. This particular threat is known to take advantage of the anonymous messaging service BitMessage to communicate with the victims of the virus undetected and in the same time faster and easier. Clever move from the cyber-criminals since they realize that “customer support” is important as well. To summarize and conclude, Moth Ransomware appears to be a variant of BitMessage ransomware – It uses the same AES-256 cipher, leaves the same ransom note and maybe has, even more, similarities. This is a strong indicator that this virus may have been sold on the black markets as a service (RaaS Scheme) or the same gang behind it created another virus with improvements, although it is way less likely because there is no working decryptor for BitMessage as well. To remove Moth ransomware, we advise you to carefully follow the removal steps at the bottom of this page. In case you are having difficulties or are not sure that the manual removal instructions will help you, we advise following the automatic removal solution and download an advanced anti-malware program. It will swiftly find all files associated with Moth ransomware, remove them and protect your computer in the future as well. To try and gain back access to your files, we advise you to be very careful, since this virus may have a CBC mode, which essentially “breaks” the files you are trying to decrypt with another decrypter directly. This is why we advise avoiding direct decryption and trying some of the alternative methods in step “3.Restore files encrypted by Moth” below. They may not be fully effective, but they may also help you recover little portion of the data you lost. Threats such as Moth may be persistent. They tend to re-appear if not fully deleted. A malware removal tool like Combo Cleaner will help you to remove malicious programs, saving you the time and the struggle of tracking down numerous malicious files. Threats such as Moth may be persistent on your system. They tend to re-appear if not fully deleted. A malware removal tool like SpyHunter will help you to remove malicious programs, saving you the time and the struggle of tracking down numerous malicious files. Note! Your computer system may be affected by Moth and other threats. SpyHunter is a powerful malware removal tool designed to help users with in-depth system security analysis, detection and removal of threats such as Moth. 1. Install SpyHunter to scan for Moth and remove them. 2. Scan with SpyHunter, Detect and Remove Moth. Ransomware infections and Moth aim to encrypt your files using an encryption algorithm which may be very difficult to decrypt. This is why we have suggested several alternative methods that may help you go around direct decryption and try to restore your files. Bear in mind that these methods may not be 100% effective but may also help you a little or a lot in different situations. Note! Your computer system may be affected by Moth or other threats. Remove Moth by cleaning your Browser and Registry. Fix registry entries created by Moth on your PC. Combo Cleaner is a powerful malware removal tool designed to help users with in-depth system security analysis, detection and removal of threats such as Moth. Step 5: In the Applications menu, look for any suspicious app or an app with a name, similar or identical to Moth. If you find it, right-click on the app and select “Move to Trash”. Step 6: Select Accounts, after which click on the Login Items preference. Your Mac will then show you a list of items that start automatically when you log in. Look for any suspicious apps identical or similar to Moth. Check the app you want to stop from running automatically and then select on the Minus (“–“) icon to hide it. Remove Moth – related extensions from your Mac’s browsers. A pop-up window will appear asking for confirmation to uninstall the extension. Select ‘Uninstall’ again, and the Moth will be removed. When you are facing problems on your Mac as a result of unwanted scripts and programs such as Moth, the recommended way of eliminating the threat is by using an anti-malware program. Combo Cleaner offers advanced security features along with other modules that will improve your Mac’s security and protect it in the future. Hey !, I found this information for you: "Moth Ransomware – Remove It and Restore .m0th Encoded Files". 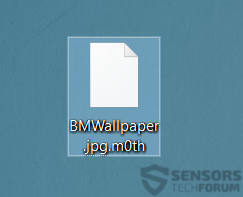 Here is the website link: https://sensorstechforum.com/moth-ransomware-remove-restore-m0th-encoded-files/. Thank you.